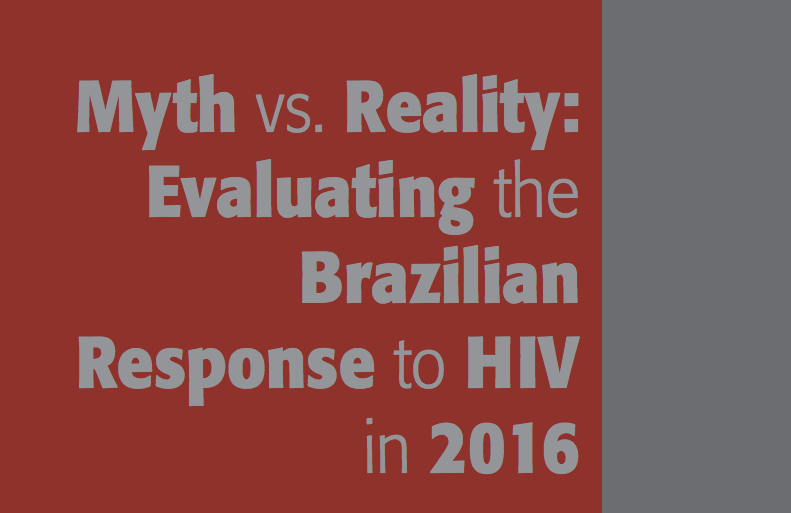 The Brazilian Interdisciplinary AIDS Association (ABIA) released today (20/07) “Myth vs. Reality: evaluating the Brazilian response to HIV in 2016”. The publication was showed in the Global Village, Durban, South Africa. Using simple and objective language, the publication offers up hard-hitting analyses in order to contribute to the reconstruction of the Brazilian response to the epidemic, which was once a model for the world. Simultaneous, “Myth vs. Reality: evaluating the Brazilian response to HIV in 2016” was released in PDF format in both Portuguese and English in those Observatories being led by ABIA (National Observatory of AIDS Policies and here, GAPW).